Home / Entertainment News, Media News / A psychologist reveals what might have led KINUTHIA to butcher IVY WANGECHI. A lot has been said and different narratives have been peddled on the murder of Ivy Wangechi. My attention is drawn to the behaviour, motive and state of mind of the murderer. I tend to think that the guy was mentally sick. 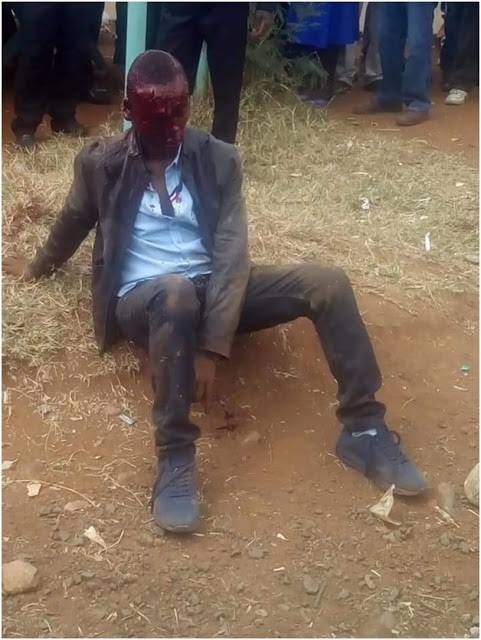 Imagine a man wakes ups buys an axe and a dagger packs them in a sack puts them in his car, fuels the car and drives all the way from Thika to Eldoret to go and slaughter someone. Nothing on the way distracted him to change his mind, what kind of anger is that which can't be neutralized by the surroundings, time nor distance! This and many other similar cases surrounding love have been purely brought about by mental cases. Mental illness doesn't necessarily mean a mad person walking naked or talking to himself/herself. Suicidal thoughts is a form of being sick in the head. We need not to be so introvertive about these issues, let's talk about solutions. What has really become of us young men and women of these days. You're not exceptional from these cases. You're not safe in anyway. You might pretend to be okay but not knowing what is happening in your partner's head or someone around you and soon you will be a victim. How stable are our brains? Depression has become a bad disease amongst us. Unfortunately, we've overlooked these cases and now we pointing fingers to non-issues and trying so much to defend murderers and why they must kill. As I always say and I will say it again nobody deserves to die in such a manner, no matter what! We're a weak generation mentally and emotionally. Let's do something today. First to and for ourselves then others. Let's embrace Counseling. Walk in to a Counseling Centre and say, am not feeling well. Am disturbed, sad, bitter, am anxious etc. You can as well chat with me here or through Whatsapp. You will find relieve. By ISAAC MAWEU -Counseling Psychologist, Life Coach, Certified Trainer on Personal and Corporate development, Author. True. Add demon possession and you have a person on autopilot. Let us not loose sight of spirituality in all these. We need to bring on board all weapons to bear against the prevalence of such senseless murders, not depend on counselling alone.